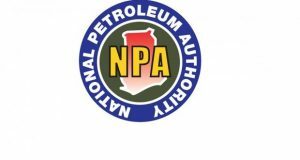 Thirty-six gas filling stations have been closed down by the National Petroleum Authority (NPA) for not meeting industry requirements. The infractions include non-payment of statutory and distributors’ margins as well as non-compliance with safety protocols. Ghana has recorded eight gas explosions in the past three years, resulting in many deaths and the injury of more than 150 people. The recent explosion occured at the Atomic Junction at Madina near Accra on Saturday, October 7, 2017 and injured 132 others. According to the acting Chief Executive Officer (CEO) of the NPA, Hassan Tampuli, the shutdown of the gas stations was part of an exercise by the NPA to promote sanity and safety in the petroleum downstream sector. Earlier this week, marketers of Liquefied Petroleum Gas (LPG), suspended their operations with the reason that they were engaging in routine maintenance of their plants. However, a press release signed by the CEO of the Association of Oil Marketing Companies (AOMCs), Kwaku Agyemang-Duah and issued in Accra last Thursday, said the LPG marketers has decided to reschedule their planned maintenance. “That the LPG operators have resolved to reschedule the maintenance of their retail outlets in a manner to ensure uninterrupted supply of LPG in the interest of our cherished consumers, effectively and immediately,” the statement said. The marketers, nonetheless, expressed their readiness to dialogue with the Ministry of Energy to resolve all issues.